If you haven’t gathered by now, we are slightly obsessed with small towns! The smaller, the better! Though big cities have their charm, we often explore the city for a day or two, then quickly escape the crowds and the hustle and bustle to embrace nature and small town living! To us, this is where you get to know the locals and where you really get to experience a destination. While big cities get all the attention, small town life is the heartbeat of a country. We always try to visit a mix of cities and the countryside when we travel. 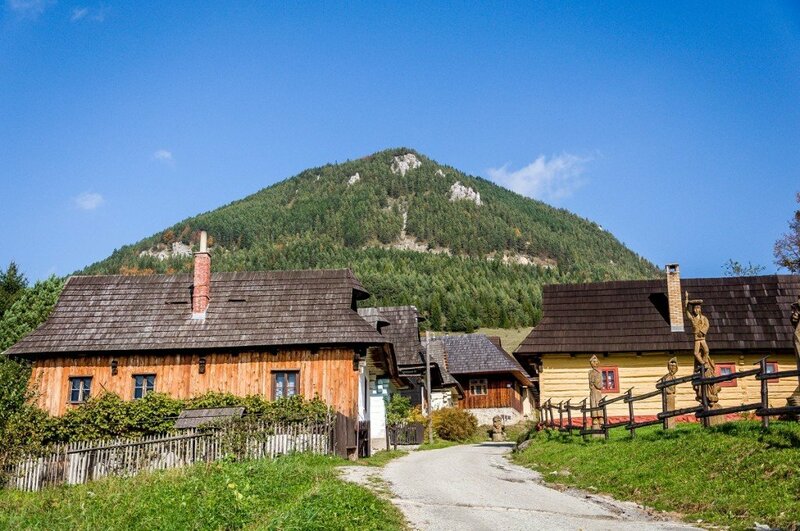 In 2014, the place that captured our imagination was Vlkolinec, Slovakia. This tiny hillside town has less than 50 buildings and has been perfectly preserved for over 300 years (and recognized as a UNESCO World Heritage Site). In Vlkolinec, we were able to connect with the spirit and soul of the country. Set at the end of one of Thailand’s most scenic roads, Sangkhlaburi lends itself to being easily loved thanks to an attractive feeling of isolation – the idea that you’ve no way of leaving once the last bus goes for the evening. Not that you’d want to go anywhere: Sangkhlaburi, though remote and small, packs in enough sights and activities to make a week-long stay perfectly reasonable. At daybreak take a boat out to see the temple complex submerged at the bottom of the lake – depending on the time of year you can either paddle or walk around it – then cross the famous handmade wooden bridge that straddles the water and visit the captivating morning market in the village inhabited mostly by the Mon ethnic group that has fled persecution in neighbouring Burma. Back in town, make time to shop for handmade jewellery, indulge in a massage and of course eat your way around some of Sangkhlaburi’s excellent food. 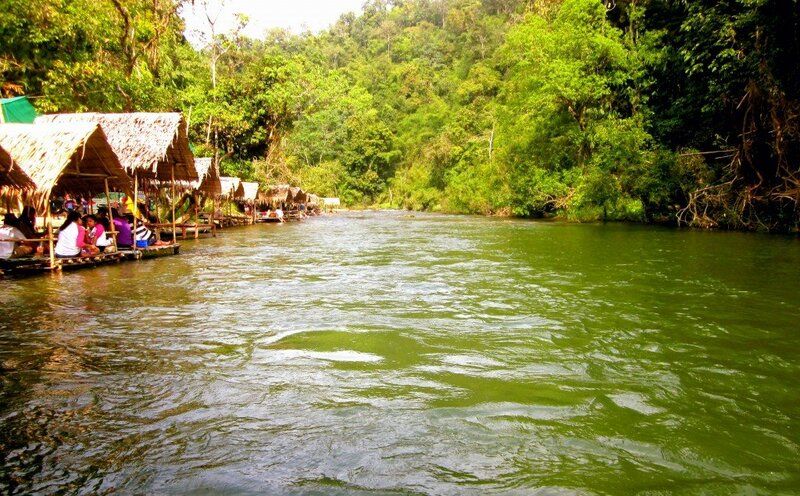 If you’re in the mood for something active, there’s even a set of waterfalls a few kilometres from town, and a collection of stilted huts serving Thailand’s famous somtum papaya salad, perched over an icy cold stretch of river that you can float down in a rubber tube. Dunster is a snuggle of a village on the edge of Exmoor in Somerset, England. It definitely has that special ‘something’ that steals your heart the second you arrive. Perhaps its Dunster’s quietly cobbled streets that charm you, as they lead you past a huddle of dainty boutiques, tearooms and galleries. Maybe it’s the village’s medieval Yarn market, a reminder as you walk by of the lives that used to gather here when wool and grain was the currency of the moor. 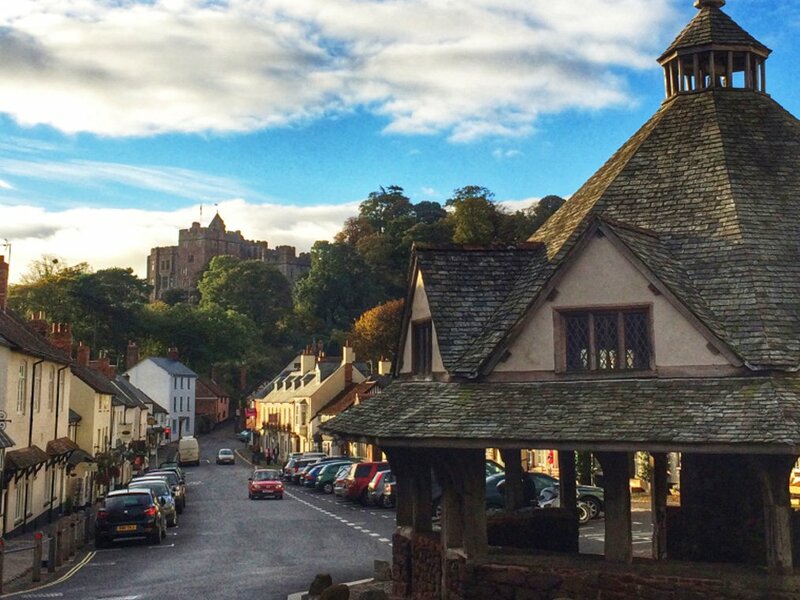 Or perhaps, the thing that gives Dunster its spellbinding quality, is the village’s majestic castle which looms over the town like a protective arm. Whatever it is, one thing is for sure: this small town in Somerset takes root in your heart and stays with you longer than you stay in it. Cieszyn/Cesky Tesin is often overlooked by tourists traveling between Prague and Cracow, it also took me few quick visits to finally stay longer and appreciate the true beauty of the city. And now I can say it’s one of the prettiest little towns in Poland, a true gem with long and rich history. Technically these are two cities, Polish Cieszyn and Czech Cesky Tesin, divided in 1920. These days it’s hard to notice when you cross the border between these two countries, only the bridge on Olza river and signs tell you so. You keep jumping between different cultures, different languages, different currencies yet everything seems to be more or less the same. Cieszyn is one of the most confusing places I’ve ever been to but that’s also what makes it so unique and exciting. 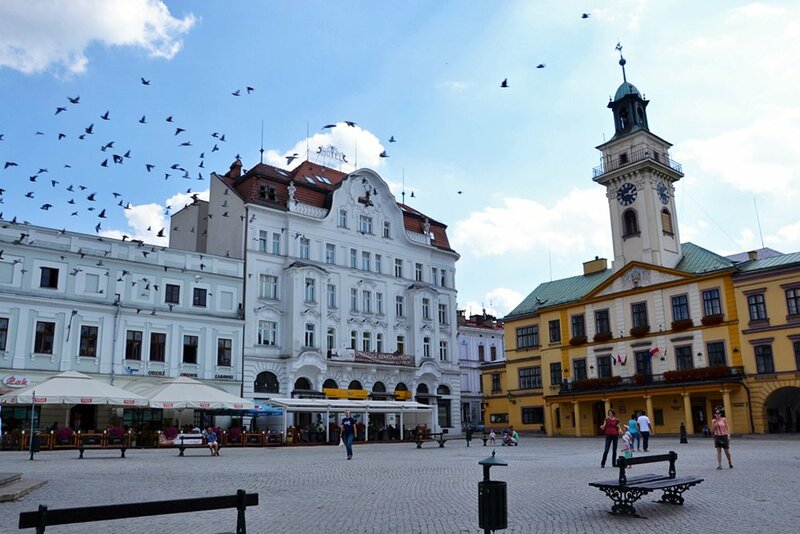 For every traveler in Central Europe both cities are a perfect introduction to either Poland or Czech Republic (and if you want to go from Cracow to Prague or the other way around traveling via Cieszyn/Cesky Tesin is your cheapest option!). 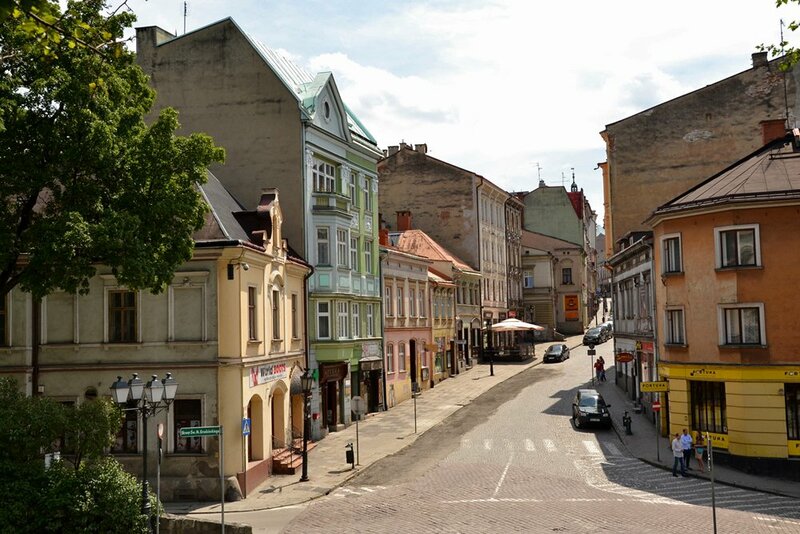 But two cultures aren’t the only reason why Cieszyn should make it to your itinerary. The cities are packed with interesting places, important monuments and spending there couple of days would be a pure pleasure. Right now I’m kind of addicted to these towns, I keep returning there few times per year, just to enjoy the cross-cultural atmosphere, walk down the cobbled streets or relax in one of the lovely cafes. 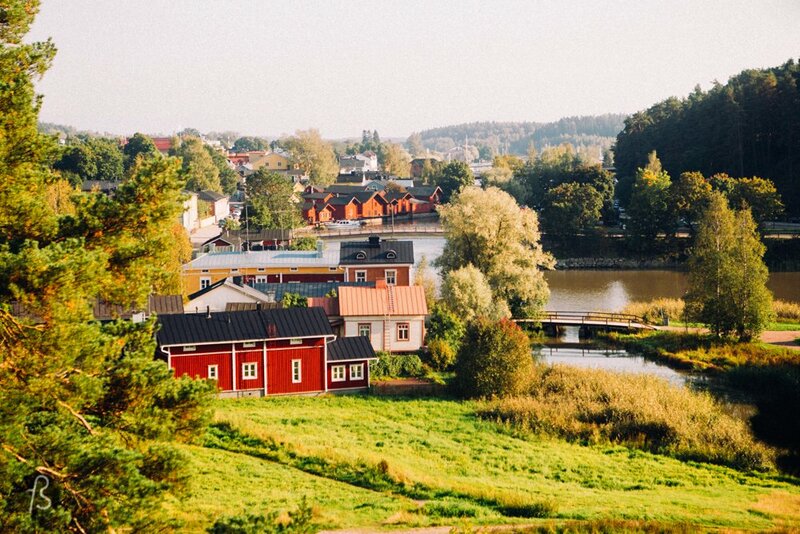 Porvoo is a nice little village about 20 or 30 minutes by car from Helsinki. And the best place on earth, in my opinion. Once I was there for the first time, I gotta say that I could not understand why my friends were so in love with the city but after less than 24 hours, it hit me. I don’t know if its the curious history, the friendly people, the beauuuuuuuutiful landscape, the possibility to get lost in complete nature madness in a 10min bike ride, I felt more of the Finn life style, the Finnish vibe that I love so much, or if it’s just because everything there always runs smoothly than any other place. The small town of Giethoorn in the Netherlands holds a special place in my heart. Not only it’s the place where my best friend proposed to his girlfriend, but it is also one of the most beautiful places in the Netherlands. The town is small – it only holds about 2500 inhabitants- and consists mainly of pretty 18th century Dutch-style farms, narrow walking paths and waterways. Because, motorized traffic is limited it has maintained a serene village-feeling. 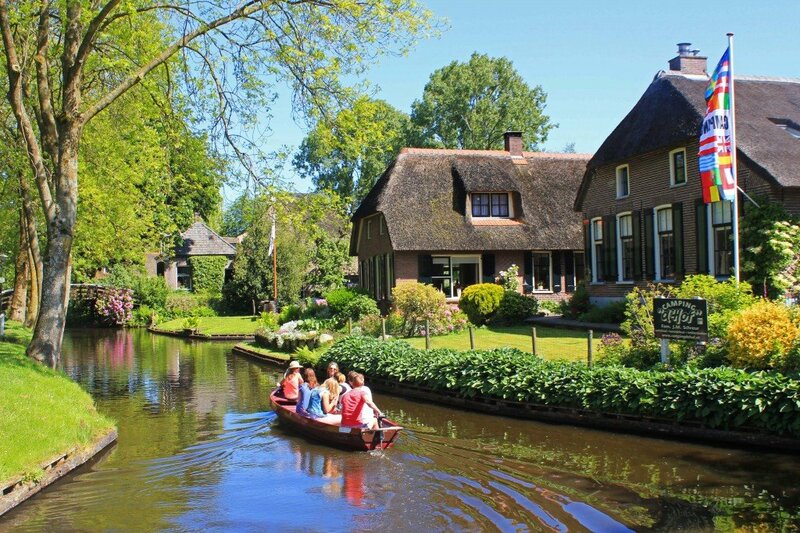 Giethoorn is as pretty as a picture, and a great way to see more of rural Netherlands. Hanalei is a little gem in the crown of Kaua’i’s North Shore, the part of Kaua’i that some tourists never even get to. It’s the last town on the island’s main road, Kuhio Highway, before it ends at Ke’e Beach and the famous Kalalau Trail. 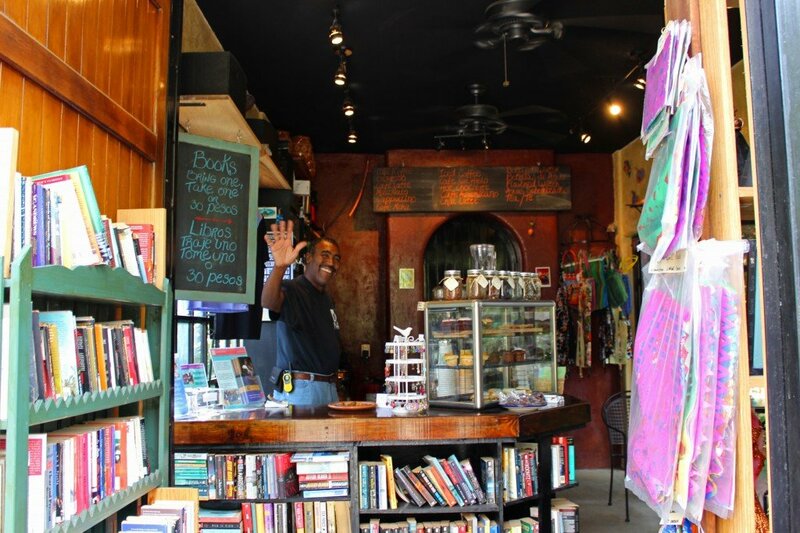 With only 600 or so permanent residents, Hanalei is a place of story-tellers. Local residents are a varied bunch: celebrities who value their privacy, starving and not-so-starving artists, surfers and hippies, spiritual seekers and socialites, all those who can’t live outside the island lifestyle. Life is centered around the beach at pristine Hanalei Bay, a semi-circular slice of Hawaiian bliss – you’ll recognize it as the location for movies like The Descendants and South Pacific. 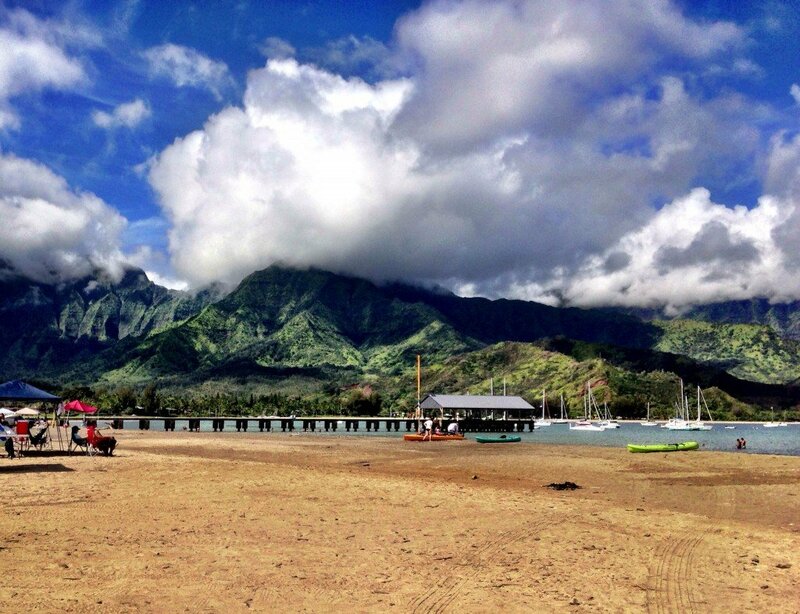 Hanalei Bay is a place to disappear and find yourself all at the same time. Grand Marais is an adorable town located in northern Minnesota, and it boasts a small population of just over 1,300 residents. We fell in love with this tiny town because of the charming shops and restaurants mixed with its beautiful natural surroundings. The nature activities in the area are top notch due to its proximity to Lake Superior and the stunning Boundary Waters—you can go kayaking, fishing, camping, hiking, and so much more. We also love watching the fog roll in over the bay while snacking on delicious fish caught fresh from Lake Superior. Point Reyes Station at the gateway of Point Reyes National Seashore is one of those unassuming and yet gorgeous little towns in California. This little town has maintained it’s own local identity even though it has a year round influx of tourists and day trippers from the Bay Area. Only a few blocks long, it’s packed with quirky and fun shops, bakeries, cafes and art galleries that make you want to linger and enjoy this unique little town in Marin County. 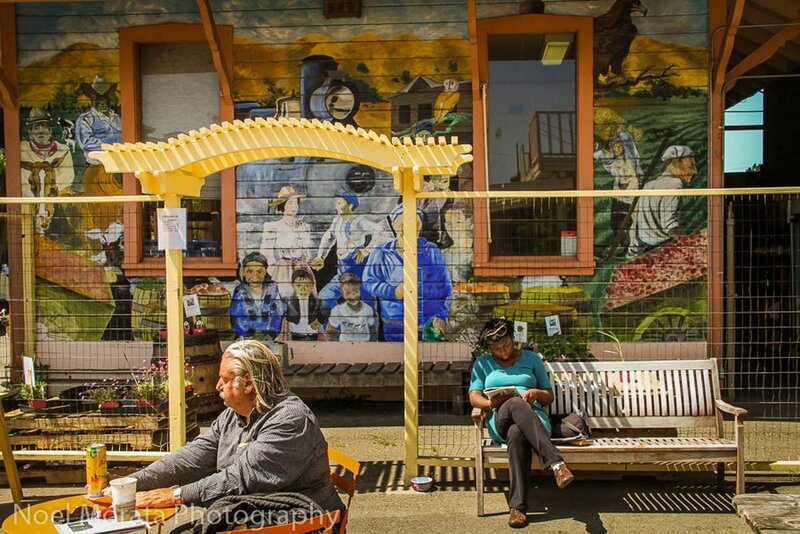 It’s a perfect place for a nice breakfast or lunch stop before heading out to see the national park at Point Reyes. Only about 1000 people (if that) live year round, but it’s a great spot to learn how to scuba dive so gets a lot of visitors in the warmer months. My son turned 10 while we lived there, and he had complete run of the island. Everyone knew him by name. One time I was walking down the street and some lady yelled out “Your baby is looking for ya!” He had gone into her shop earlier and asked if she had “seen my dad.” That’s all she needed to know who he was talking about. It was such a great place to live. People go to Utila for diving and snorkeling or to experience the Caribbean the way it used to be. Unsurprising considering its side, Russia has lots of small towns where it seems that time has stood still. Many of these are rather remote and off the established tourist routes and therefore not well known among foreigners and even Russians. I have visited more than 200 cities in Russia, including lots of small ones and one of my favourite small cities is Gorokhovets. 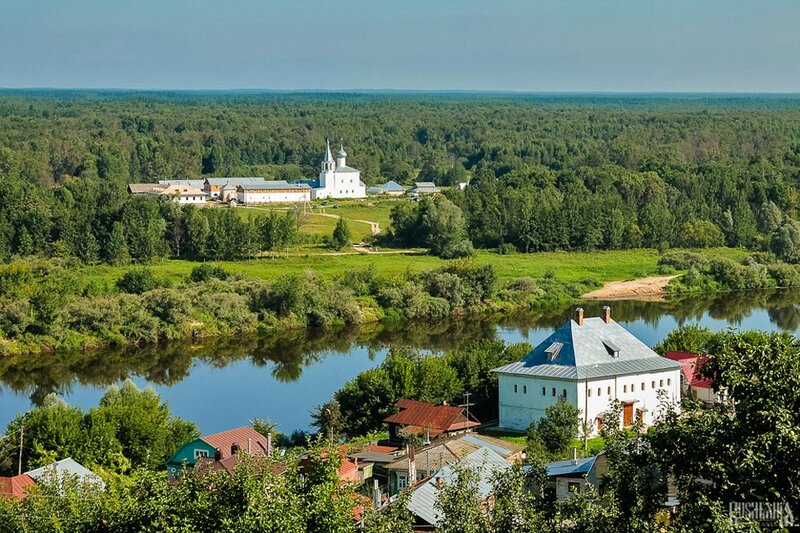 It was founded in the 12th century and stands on a hill on the banks of the River Klyazma. The city has been named an Historical City of Russia as many buildings from the 17th, 18th and 19th centuries have been preserved including estate houses of merchants, churches and three monasteries. The attraction of the city is also enhanced by its beautiful unspoilt natural surroundings. The overall impression you get from visiting Gorokhovets is of a charming sleepy provincial town where life couldn’t be more different from the bustling metropolis of Moscow. Durbuy is the perfect example of a picturesque Belgian town. Its cobblestone streets and stone houses nestle up to the Ourthe River. It’s on the edge of the Belgian Ardennes, so there are plenty of outdoor activities to enjoy. However, Belgium is the home of surrealism and Durbuy is no exception. The tiny town is actually a city – the world’s smallest in fact, due to a legal technicality dating from the 1300s. But don’t let its size fool you. There’s plenty to see and do. 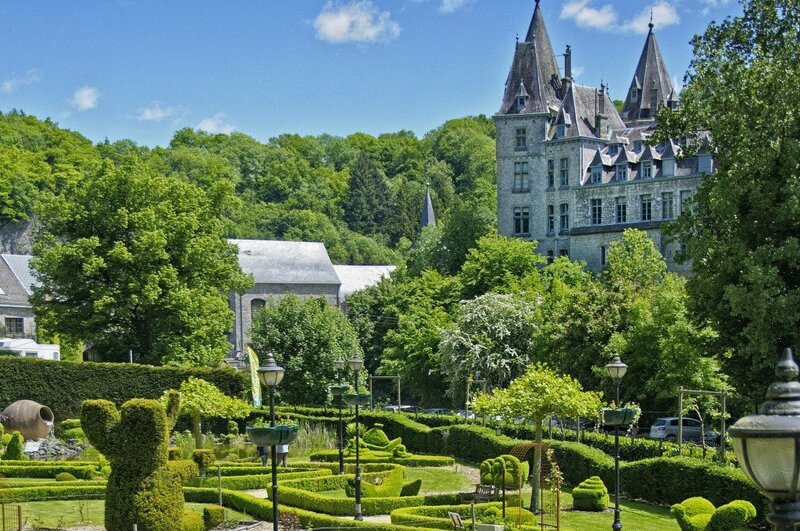 Durbuy has its own castle, topiary garden, jam factory, and its own beer. (It is Belgium after all.) What’s not to love? Wanaka is an adorable little town sitting on the south end of its eponymous lake, nestled in the Southern Alps in the southern half of the South Island of New Zealand. Its population is just over 7,000 and it sees many travelers pass through its stunning, quiet beauty in just a day or two. 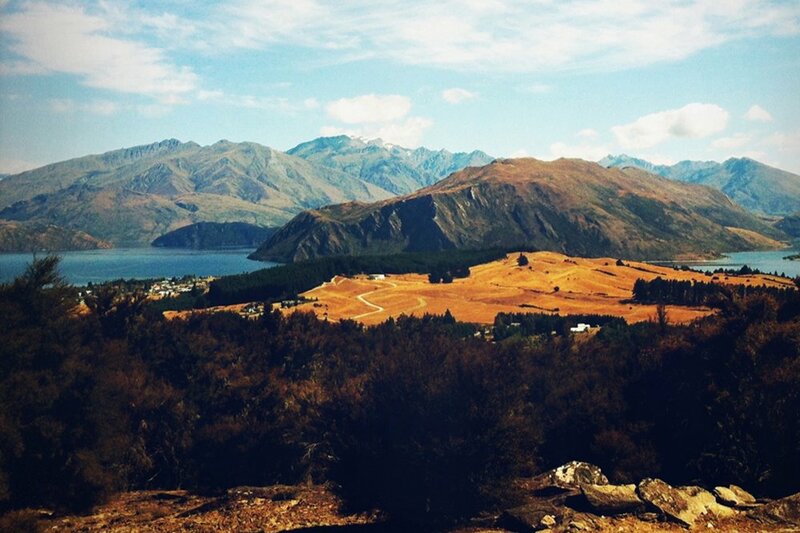 Most of them head on to nearby Queenstown: the adventure capital of the world! But my love affair with Wanaka continued on for four glorious months. 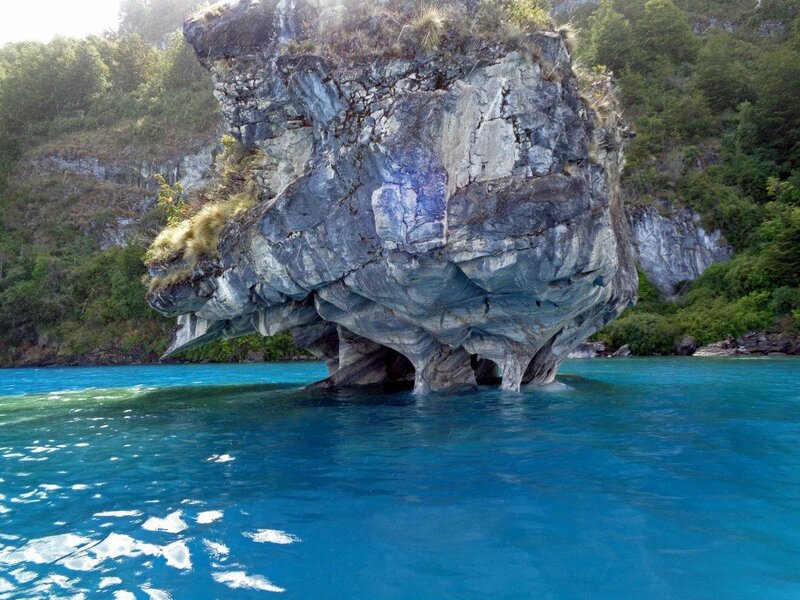 Its unassuming beauty enraptured me, and I fell in love with everyone I met there. Whether it’s hiking the stunning Rob Roy Glacier, taking an easy walk to the wineries around the lake, lying out on the pebbled beach and swimming in the glacial waters, or just having a beer with friends at Kai cafe, Wanaka was the perfect place to spend a summer whilst wishing it could be a lifetime. I dare anyone to go and not fall in love. 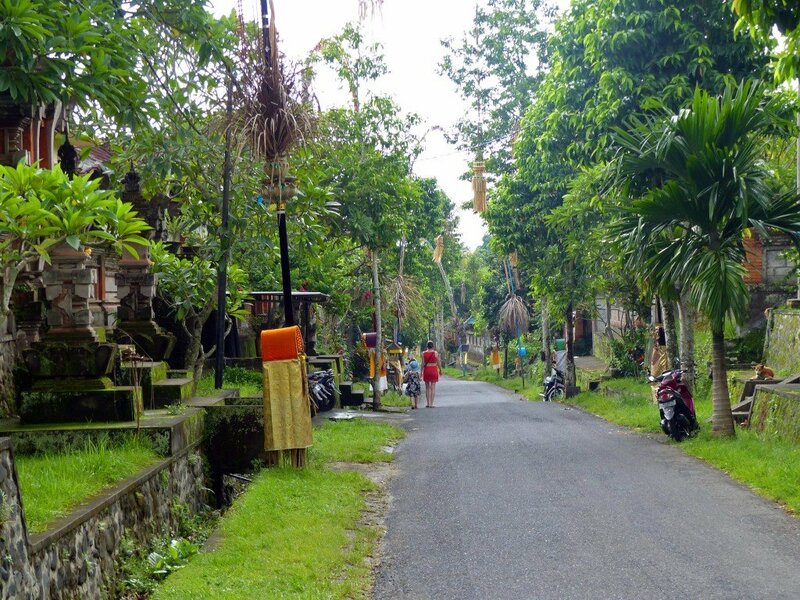 My favourite small town is the lovely Ubud in the interior of Bali. The town itself is full of pretty shops and some of the best restaurants you will find anywhere especially as they cater well to vegetarians and vegans. The town is surrounded by rice terraces. It’s a very picturesque place to spend some time. Just love taking it easy here. The Mediterranean old town of Dubrovnik in Croatia is a striking example for a little town that easily steals the hearts of its visitors. Since centuries it is nestling between the thick Old City walls and surprises with a lovely atmosphere with its orange-roofed houses, tiny bars and restaurants hidden in cobbled stone streets and even sundowner bars in the rocks at the sea. 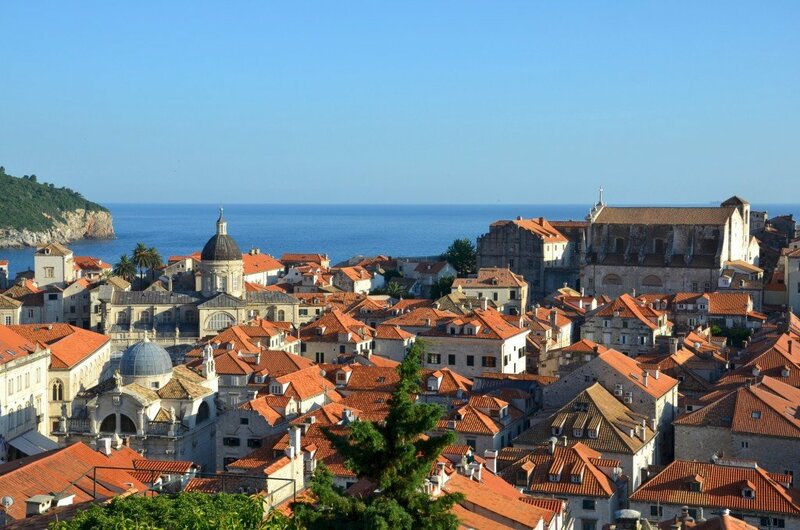 Dubrovnik is definitely a town to fall in love with, at first sight! San Pancho is a small town of 2,000 people on the Mexican Pacific coast. Oh, but this is not any small town. This is a town where you can watch whales breach from the beach, bump into the founder of Cirque du Soleil on a stroll and eat great French food in the middle of the jungle. This is a town where the local dogs (all are owned) will wait for you every morning to go to the beach with you to disrupt your meditation. This is the town where you will take 1 hour to grab a coffee because every local you meet will want to chat. And finally this is the town where your faith in humanity is restored. So what are you waiting for? Our first long-distance hitchhike together – 200km through the spectacular mountains, forests and lakes of ‘Deep Patagonia’ – led us to the sleepy shores of Puerto Tranquilo. A small town of only several hundred people perched on the edge of one of the biggest lakes in South America, Lago General Carrera; only a few blocks of timber homes, restaurants and hospedajes make up this tiny town. Whichever direction you look, you’ll find a stunning view of the turquoise glacial lake or clouds rolling over the mountains. There were so many things that made this place special to us; our journey there in the back of pickup trucks; the breathtaking vistas on glaciers and in marble caves; the homely hostels hiding inside peculiar wooden shacks; but most of all, the character and warmth of its inhabitants. 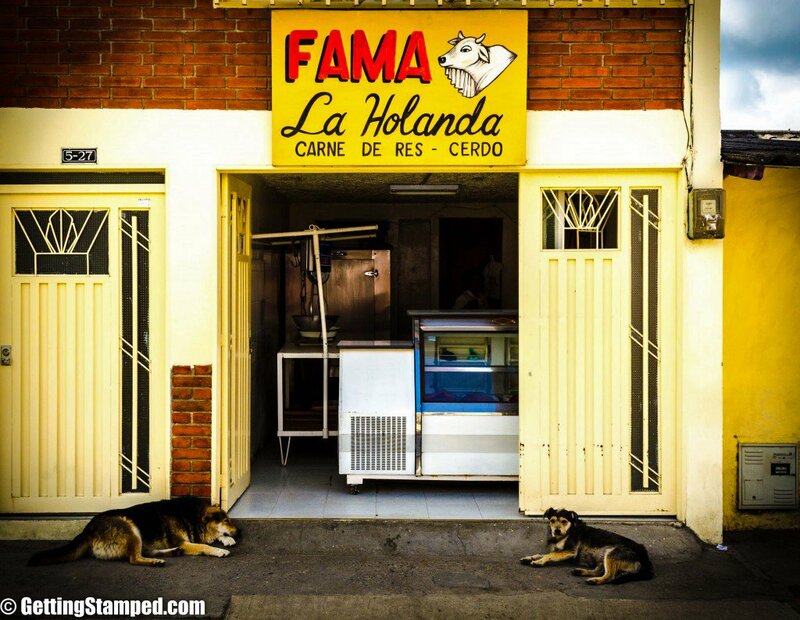 Everything about Puerto Tranquilo was friendly and honest, with just a little hint of strange. It may not have existed without the tourists who are drawn here, but it’s become something all of its own. Patzcuaro, Mexico: winding cobblestoned streets, old women sitting on steps, surrounded by woven baskets. Morning markets with savory stews bubbling from giant cauldrons. Stores with worn stone steps, mansions converted into artisan markets. Plaza after plaza, each seeming to specialize in something different. Laughing, curious children. People so warm and genuine, we wondered how they could be for real. But they were. 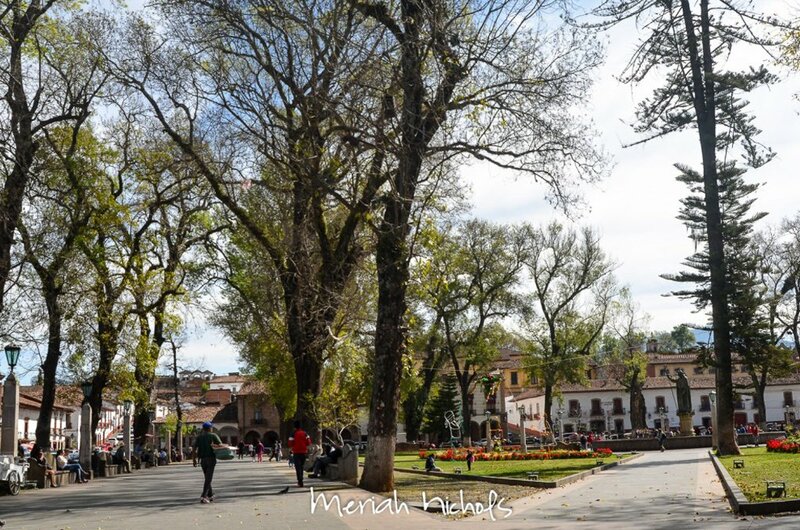 Patzcuaro stole our hearts. Since two bloggers submitted the island province of Batanes in the Philippines, it must be amazing and we simply couldn’t leave it out! For more stunning pictures of the islands of Batanes, check out Aileen’s post and Aleah’s post. As told by Aleah: The province of Batanes, Philippines (the smallest and northernmost province in the country) is the ultimate travel destination for photographers and nature lovers. Rolling hills, rocky cliffs, and picturesque views over the bay contribute to the irresistible beauty of this place. 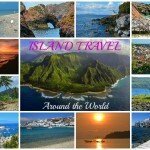 Comprising 10 islands, of which only three are inhabited, the total population of Batanes is just over 16,000. 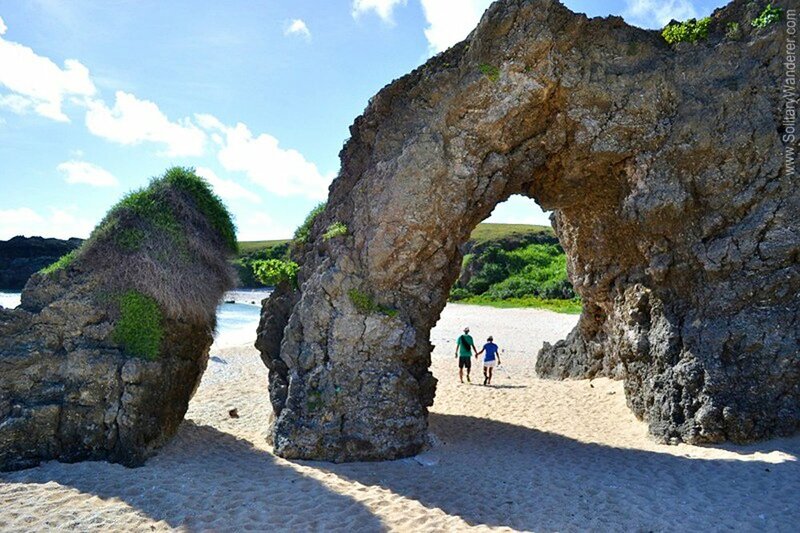 Because of its location which makes it vulnerable to tropical storms, and the expensive flights going there, Batanes is not usually along the tourist trail. Everyone who manages to get there, though, would always vow to come back. Batanes is just too beautiful for words. As told by Aileen: The islands of Batanes in the Philippines stole my heart—and it would always steal my heart, time and time again. There’s no doubt that I will forever be smitten with it and it’s not only because it’s the place that I grew up in, but because it’s also the place that simply yet perfectly embodies the word: “paradise“. Ask anyone who visited this small wonder and I’m sure they will tell you the same! They will tell you how you’ll fall in love oh-so-deeply with its rolling hills, pristine beaches, picturesque coastlines, blue waters, immaculate sunrises, and dreamy sunsets. And that the ‘icing to the cake’ will be its people, the ‘Ivatans’. You will fancy the colorful festivals they celebrate, the hearty food they make, the simplicity of their lives, the honesty they possess, the warm smiles on their faces, and the kind of hospitality that you won’t find anywhere else. I’ve fallen in love with all of these and more; that I ultimately hope that you get swept away too by Batanes. What’s Your Favorite Small Town? We want YOU to introduce us to even more beautiful small towns around the world. List your favorite small town in the comments below! Absolutely love this post! We always love small towns too–thanks for compiling so many great suggestions–I would love to visit so many of these! Thanks for including our favorite as well! Small towns are the BEST! Can’t wait to hear more suggestions! What a great line up of small town, a bunch on here we will have to get to! That darn bucket list never gets smaller…. 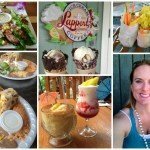 Thank you for featuring our mention of Hanalei. 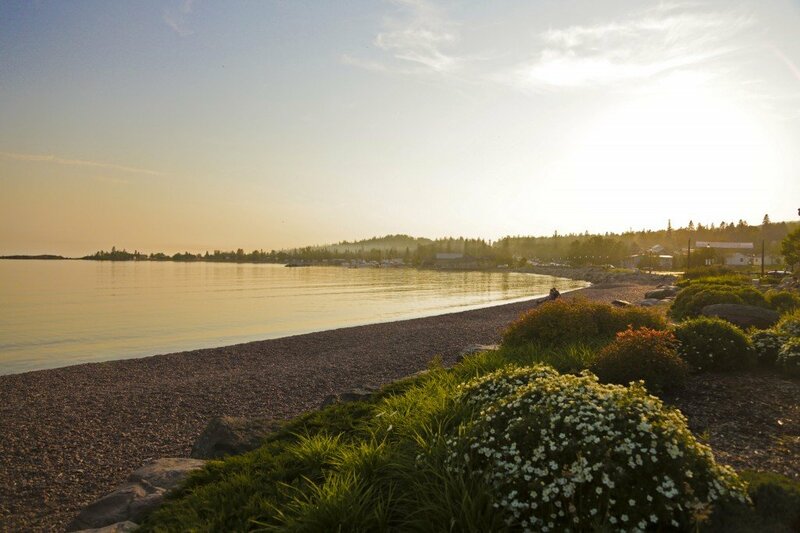 We were so pleased to see another personal favorite – Grand Marais, Minnesota – in this post, too! Stellar list! Will have to add many of these to our plans. Looks like we all have great taste in small towns! Oh wow! This is an awesome list. Thanks for including us. 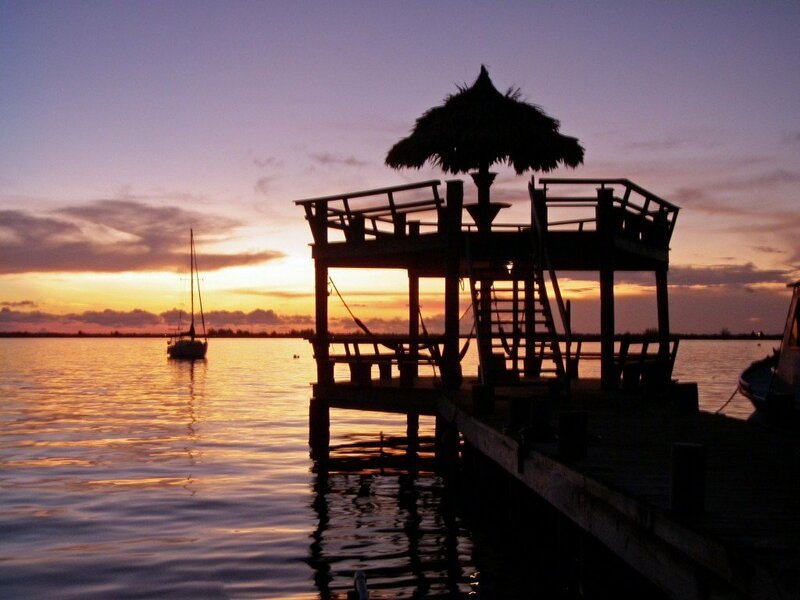 We need to check out Utila. It’s been on our list for a while. We always seem to end up in Roatan when we go to Honduras, but next time is Utila! Glad we could introduce you to some new towns to check out! What a lovely post! Thank you for including me! Small towns are a great theme and I hope this inspires others to go explore them. Agreed! I think a lot of people naturally go to larger cities, because they are so well known and easy to navigate, in most cases. Visiting small towns can present a few challenges (ie- language barrier, transportation, etc. ), but sometimes figuring all of that out is part of the fun of traveling! What a great round-up! I’ve added a bunch of new places to my bucket list. We love discovering the smaller and lesser-known places when we travel and small towns are simply the best for getting to grips with the local culture. Thanks for the opportunity to share my favorite from Belgium! Visiting small towns is a great way to experience the local culture for sure! What an awesome list of places. Seems like there is tons to add to our bucket lists. Thanks for letting me take part! Great to California and Honduras have places make this list! 🙂 My family is originally from Honduras and moved to California… haven’t been to either town! There’s so much out there to explore!! Some great towns, nice photos. Thanks for the additions!! Headed to Thailand later this year; will have to check out Nong Khai. Sure does look gorgeous! Thanks for sharing! This is a great post! It’s great to see so many different suggestions – thanks for sharing, I now have a new bucket list. Also, I grew up near Dunster – Somerset – UK, yes! It is amazing! Like stepping into a fairy story. These small towns are amazing. It is like something out of a movie. I especially liked Sangkhlaburi, Thailand. Thanks for sharing! You are welcome! So many charming places around the world! One of our favorite ‘things to do’ when traveling is to see some of the small towns. One of our favorite countries to do this in is Austria. It seems like every exit from the highway had a cute little town. Austria is perfect for small towns! 🙂 we loved St Gilgen, Hallstatt, and Fushl am See!! 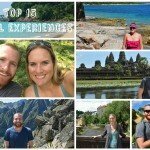 Great list of awesome places. Thanks! I have a lot of new and wonderful places added to my list of places to visit, thanks to compiling this list! Love Hallstatt! Haven’t yet been to the Philippines or Japan, but we’re always on the hunt for small towns to visit during our travels. I love traveling to smaller towns. Clean air, astonishing nature and no tourists. Amazing list, I have to save this! Small towns are our favorite! It’s easy to feel lost in a BIG city, but small towns really bring out the charm and help you feel more connected to a destination.